Even when I run alone, I’m never on my own. I’m with my two buddies, ever-faithful, ever present: RunKeeper and Spotify. Before them, I had Pandora and my Garmin Forerunner 101 [why does this thing cost more now than it did back in 2003? 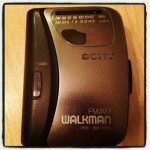 ], and before all that, I had my Walkman. oh hi! would you like me to tell you some stories about 19-year-old Aleks? For as long as I’ve been a runner – let alone a long distance runner – I’ve never run unplugged. So when my iPhone broke halfway through our vacation, my first thought was, gosh darn F$%^!!! S%^&!!! How will I check into the gym and track my runs now? And what about the music???!?!?! Not that I didn’t figure it out right away. For the gym, I used the GymPact app on the iPad. And for running, once I took myself off gym detention, I took HusbandRuns’ Android device and installed RunKeeper and Spotify on it, pronto, so I could use it to track my virtual Maui half marathon. Beautiful as that run was, though, the darned thing bugged me. The touch screen’s response to sweaty fingers was inferior and taking photos was frustrating. I couldn’t log into my Spotify account, so I had to use create a new (free) one and listen to the radio instead of my own playlists. 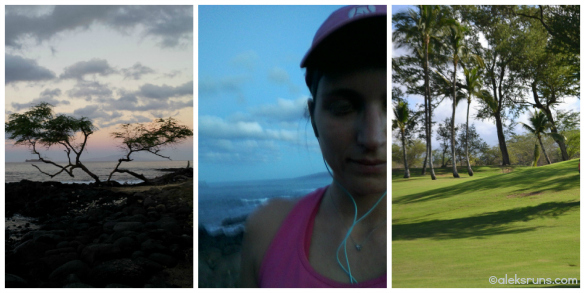 Two days later, on my last run on Maui, as I took the phone out of my pocket to check my time, RunKeeper stopped itself and proclaimed my workout complete at 7.3 miles. 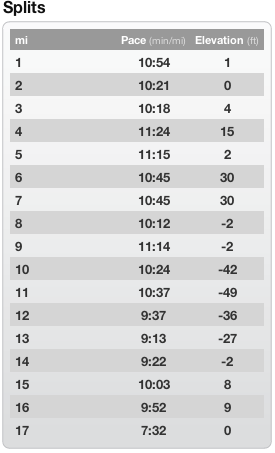 But see, I had planned to run 7.53 miles, or precisely 12.12 kilometers, for 12/12/12. And there I was, with 11.75. No. 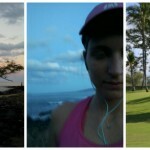 There I was, running on a tropical island, in a sleeveless racerback dress in December, overlooking a beautiful turquoise ocean on one side and emerald green golf courses on the other… and being annoyed at my gadgets. Instead of enjoying the beautiful vistas, I was gritting my teeth at not being able to take good photos. Instead of enjoying to the song of exotic birds, I was missing my favorite music. Now that I’m back home – wondering how long it will be before I get to run on that little piece of tropical paradise again – I’m thinking. It’s about time I begin running unplugged. Well, not all the time. Please, I’m on a marathon training schedule, with tempo runs, intervals and long runs that need to be tracked properly. But I could leave the gadgets at home for the once-weekly easy run, couldn’t I? Do you ever run unplugged? How do you get over the fact that you can’t know exactly how long and how far you ran? 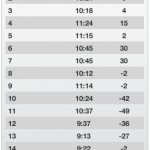 The Android device may have cut my 12/12/12 12.12 km run short, but I did log in my scheduled 16-miler, coincidentally on 12/16/12. Powered by iPhone 3GS and Pandora. I ALWAYS ran unplugged…with the exception of a watch. With the exception of races, most of my own training was done on familiar courses, most of which were measured by a bike or car. I knew where the mile markers were, and based on time, where I should be on the course on any given day. I know music is supposed to motivate you but I can do without (and with out de straps you need around your arm or waist to carry everything along). Yeah… Watches are often easier to ignore than apps like RunKeeper or Nike+, because they don’t have audio cues that literally interrupt your music 🙂 As for music – good for you that you can run without it, and run better that way. I think I would just panic if I didn’t have music to listen to, especially on long runs! I run partially unplugged a few times a week when I run with my friends. I don’t wear my headphones but I do wear my Nike Sport Watch. When I run alone or on long runs I do have music. Wasn’t sure I could run without it, but when running with friends we talk. So, it works! Friends definitely help, yes! I used to even listen to music when running with buddies (with an earplug in one ear only), but weaned myself off gradually. And yeah… the big challenge for me is let go of the GPS. To just go for a run without caring how far or how fast I run. Really, really difficult!